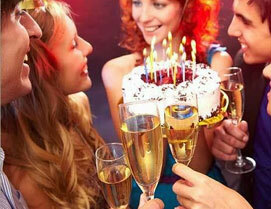 Are you planning to reserve a limo for birthday party services? Birthday is an important event for a lot of people. The cake, the guests, the partying; everything needs to be perfect because this is the day you were born! However, when you plan to celebrate your special day, it can be quiet hectic. But what if you get to celebrate your birthday in style? With the growing trend of celebrating birthdays, limos have been in demand more often than not. Since the stress of planning the perfect birthday is quite a lot, it can be understandable that finding the right Burbank limo service can be difficult in all that haste. We believe that you deserve affection and want to be pampered on your special day and that is why we offer reliable birthday limo services in Burbank CA. We offer a variety range of limos – a wide range of brands and models of limos that you can choose from; Cadillac Escalades limos, stretch limos, sedans, and many more. The space and seat count varies according to your requirements. Not only that, the luxuriously-planned interiors of our limos can be equally contrasted with their bold and amusing outsides. Whether you desire to celebrate your entry into teenage or the start of your second life at 40, we have abundance of choices and types to suit your tastes and preferences. 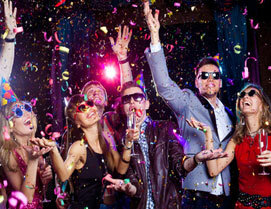 For instance, we offer sweet 15 limo service to celebrate your 15th birthday in style. We make every possible effort to make sure you have a magical birthday. You can paste a birthday message on the outer window of the limo to greet the birthday boy or girl. You can even request our chauffeur to pull the red carpet for your birthday kind or queen. At the time of booking, just mention your special services to our reservation and they will make sure every instruction is followed and carried out to your expectation. Our professional and qualified chauffeurs will pick you and your guests, right from your doorstep. Whether it is the party venue, a trip to a famous uptown bar you always wanted to visit, or simply cruising through the city, our well-trained chauffeurs will drive you to your destination. And you will get all this without the least amount of worries or fears of taking the wrong routes or feeling claustrophobic from riding a cramped vehicle. 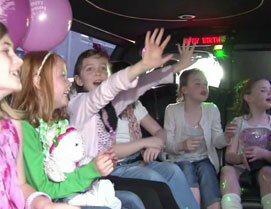 With our online website, you can book your birthday party limo with us from any location around the world. In case of any questions you may want to ask, feel free to reach out to our responsive and friendly customer service staff. You will always find us ready to assist you through your queries. What are you waiting for? Call us at (818) 940-0010 to book a birthday limo service in Burbank CA or request a quote to avail this service. Birthdays are special occasions that should not go without celebrations no matter how busy you may be. What better way to celebrate a birthday than with a limousine? If you are looking to hire limousines for birthday celebrations, Backstage Limousine should be your first and only choice. 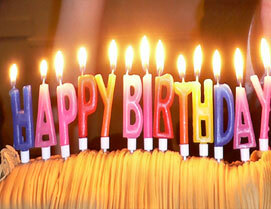 In business for over a decade, we have been a part of thousands of birthday celebrations. From party buses to stretch luxury limousines, we have the kind of cars that can make you jump with joy. No matter how old or young you may be, our limousines evoke the same kind of response every time. Our sparkling and shining Burbank Birthday limo is a delight to the eyes and a signature of opulence and style. If the outside of the limousines look great, the interiors are even better and you and your guest would not be able to wait to get inside one. A music system and a well stocked bar can convert the plush comfy interiors into a party zone within seconds. You can book a Birthday Limousines for yourself or for your loved ones. Surprise them on their birthday with a limousine that will take them wherever they may want to go. Our chauffeurs are some of the most trained professionals and will ensure that you and your loved ones have a great time.